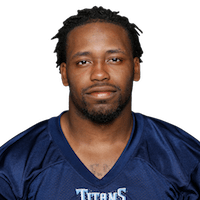 Wadley was waived by the Titans on Saturday, Travis Haney of The Athletic Nashville reports. Analysis: Wadley fell short in his battle for a depth running back role in Tennessee. If he clears waivers he'll have an opportunity to join a team in a practice squad role. Wadley rushed four times for 16 yards during Thursday's preseason finale against the Vikings. Analysis: Wadley entered the game behind Dalyn Dawkins but didn't do much besides proving his health after dealing with an ankle injury earlier in the week. Firmly on the roster bubble, Wadley seems to have long odds of surviving final roster cuts this weekend. Wadley will practice Monday with both ankles taped, Paul Kuharsky of 104.5 The Zone Nashville reports. Analysis: Wadley has been sitting out of practice lately, but it appears he'll get some work now. He'll be best served by getting fully healthy before Thursday's preseason finale against the Vikings, as Wadley still has a chance to secure the No. 4 RB role. There are no videos available for Akrum Wadley. Click here to view all videos.